It is shocking at first, since we are not used to this type of perfume, it takes you to get used to it for a period of time, but it shows its quality, for me it has a problem this one, the excess of nail, being something pestilent and medicinal. when the Gray Amber takes the control in the evolution, the salty ocean is appreciated, that becomes sweet and perfumed like a candy. This in particular is what distorts the great perfumes of Areej le Dore. 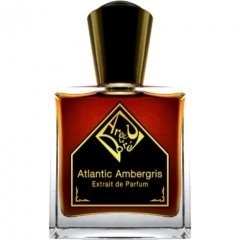 Write the first Review for Atlantic Ambergris!